This website describes an innovation, which has been evolved over a period of time, on the basis of problems faced by the author in using motor vehicles in varying climatic conditions in different parts of the world. It relates to developing a new concept of “Retractable Shading Device for Motor Vehicles”, for operating in extremely hot as well as cold climates with a view to increase their efficiency & comfort, reduce fuel consumption and maintenance costs etc. During my long carreer in the Architectural profession, I have worked in various parts of the world getting exposed to the coldest and hottest climates which offered many opportunities to study their environment, and their effects on buildings, shelter and every day life. It was observed that in Tropical Climates, vehicles parked outside, under the sun, create intense heat build-up within the vehicles, sometimes leading to melting / deshaping of synthetic / plastic material lying inside. Any effort to cover them with the usual fabric cover, did not show any improvement and rather resulted in dampness trapping inside, particularly during rains, and rust developing in various parts of the body. Moreover covering the vehicle, on and off, during day time use, was cumbersome and time consuming. 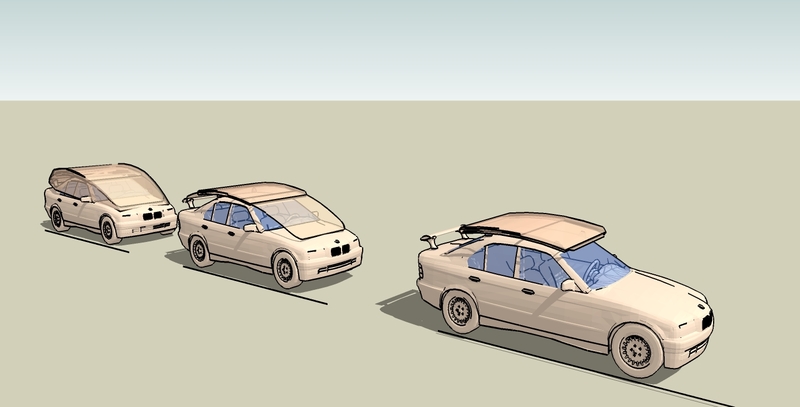 These observations have led to evolution of a system where a light weight, retractible cover can be attached to the vehicle body, is easily operated – manually or with remote, leaving sufficient space from the body surface to ensure proper shade and air circulation, thus avoiding any heat build-up as well as to avoiding dampness being trapped therein. Intense heat builds up within the vehicle, while parked under the sun in summer months due to ?green-House effect?. 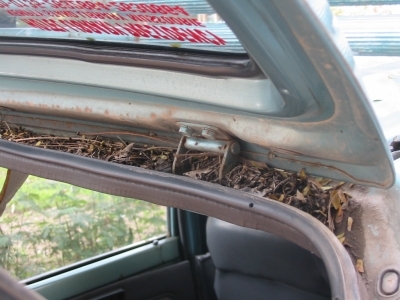 It, not only, makes entry in the vehicle extremely difficult on opening its doors, but also results in melting / damaging synthetic objects lying inside. 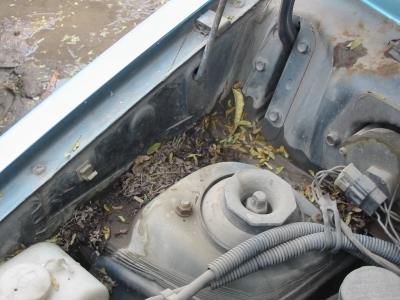 Dry leaves coupled with dust and dampness enter through various crevices under the bonnet / boot cover and accumulate in nooks and corners of vehicle body resulting in rust formation at such locations. 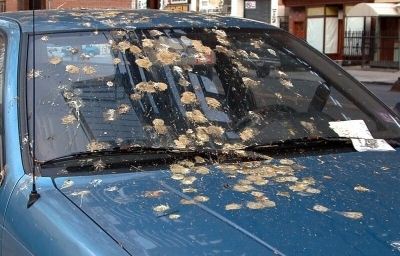 Bird droppings smear the vehicle body including glass panes all over, in different intensity making it difficult sometimes, to drive the vehicle unless glass panes are properly cleaned. 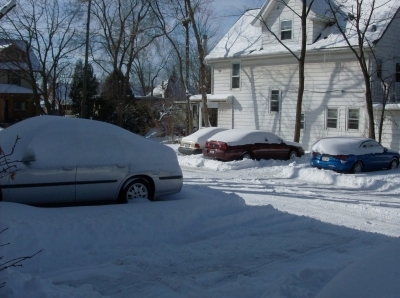 During snowfall, thick layer of snow accumulates over the vehicle body parked in the open, making it difficult to use the vehicle immediately if required. Manually removing snow as well as ice formations, from the vehicle body, especially glass panes, is cumbersome and time consuming. Employing the usual Water proof Fabric Cover, creates unventilated space between the cover and the vehicle body leading to more problems. 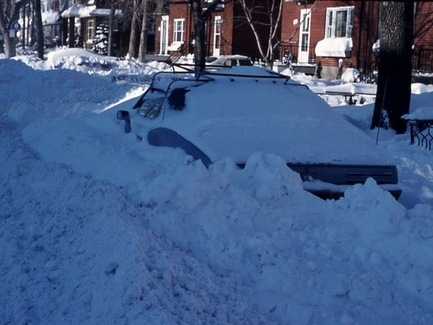 In Tropics dampness trapped in such a space results in rust catching up most of the body parts; and in Cold climates, after snow fall, the cover tends to stick to vehicle body due to ice formation in between. Moreover it is difficult and time consuming to cover and uncover the vehicle, in short intervals, during its daytime use. 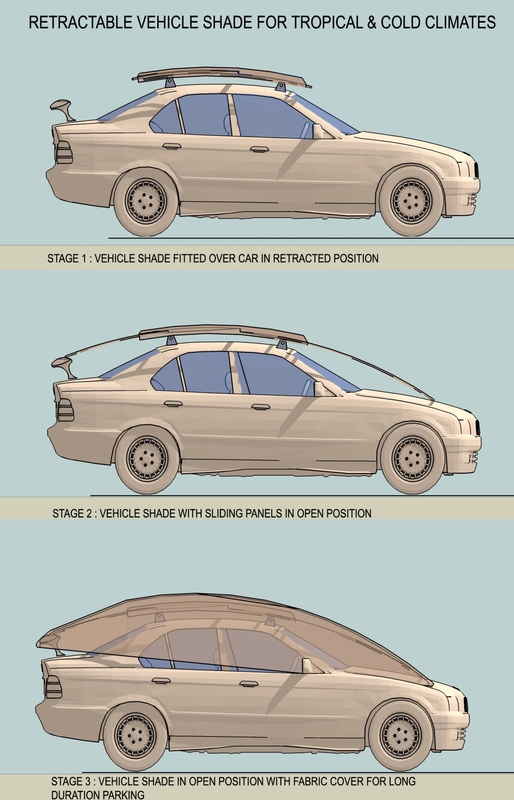 In view of various problems enumerated above and inability of the conventional fabric cover to fulfil all the required functions, a "RETRACTABLE VEHICLE SHADE FOR TROPICAL & COLD CLIMATES" has been evolved, which shall fulfil all the requirements of protecting the vehicle under various adverse conditions. 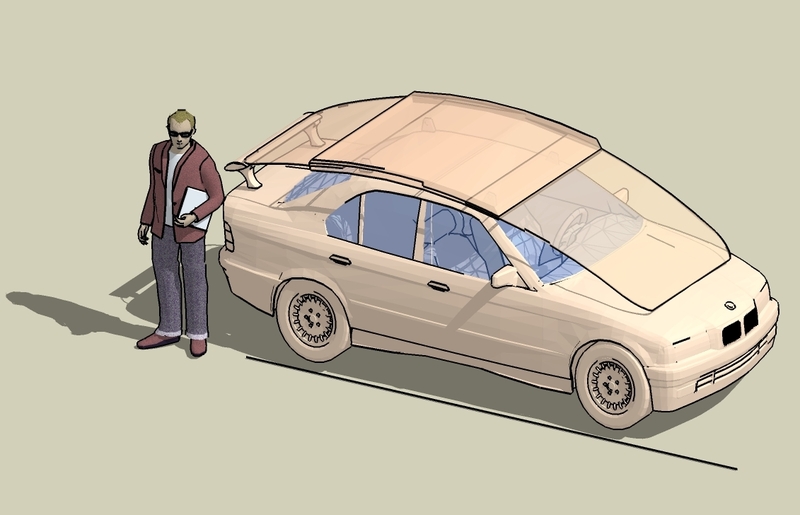 The concept involves a central hollow covered box mounted on top of the motor vehicle, like a luggage carrier, with two light weight sliding panels, which can be easily pulled out and retracted to cover the front and rear glass panes apart from the roof which remains covered, providing full protection to the Vehicle body. Both the Central Box and Sliding Panels are proposed to be made of light metal frames of suitable profiles and fitted with tinted fiber glass of color and texture, consistent with the Vehicle body. Thus the device not only looks neat and robust, but with minimum moving parts requires least amount of maintenance and is easy to keep clean. A prototype of this model was prepared and tested in the last summer months. It was, not only, found extremely useful, aesthetically satisfying and adaptable to most of the vehicle bodies, but it was also found useful for cold climates to protect them from snow. This concept can, therefore, be adopted in hot as well as cold climates, and can be easily introduced for various kinds of vehicles operating all around the world. While, in hot climates, the Device operates effectively in its original form, in Cold Climates, an additional attachment is proposed to take care of snow fall and resultant problems. It consists of a water-proof stretchable fabric cover with in-built ‘Heating elements’, to be fitted over the Device in open position. It will stay fixed over the central box, and fold up along the front and rear sliding panels, as and when they are operated. The heating elements shall automatically operate, through a concealed pressure switch, which will turn on with the weight of snow and turned off as soon as snow melts and drains off due to arcuate form of the device. 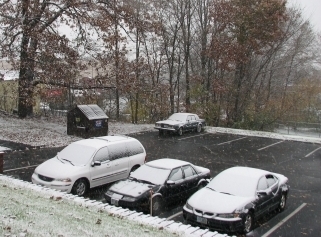 Since the front and rear glass panes as well as side panes are protected from direct snow fall, no further cleaning of the vehicle shall be necessary before driving. The device as conceived and evolved, is as simple as it possibly could be, by employing available technology, which can be fixed over the vehicle body in the same way as a luggage carrier, or removed in normal weather conditions. It can further be easily operated within seconds - manually, or through remote control mechanism, with slight modifications. In open position the device shall provide necessary shade and insulation to vehicle body from intense summer sun due to free air circulation around it. Due to simple sliding mechanism it can be easily operated manually or with remote, if so desired. 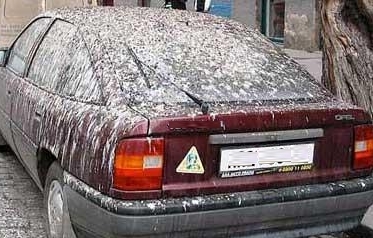 It shall protect car body and all glass panes from bird droppings etc. 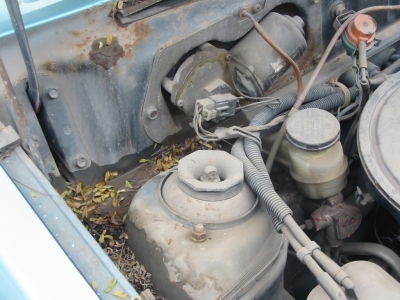 It shall prolong life of all sensitive instrumentation, synthetic dash-boards, upholstery etc. due to reduced temperature obtained within vehicle body. It shall protect windscreen and other glass panes from rain drops coupled with dust / dirt etc. Due to low temperature inside the vehicle with help of the device, it will reduce load on air-conditioning system, and thus save fuel consumption. Compared to present day fabric covers, the device shall provide ventilated space, and thus help to avoid rusting. In extreme cold climates the device shall protect the entire vehicle including all glass panes from snow and resultant ice formation on vehicle body, leaving it clean for immediate use. The concept offers large space, over the central box, as well as sliding panels to integrate solar devices to produce sufficient electric energy for electric cars etc. An application along with all specifications, explanations, claims and detailed sketches was filed with PCT authorities (WIPO) in March 2010 for International search / protection and final publication by the International Bureau. My application, after thorough search and examination of prior art, all the claims (10 nos.) were considered to represent novelty, inventive steps and industrial applicability based on Written Opinion of International Search Reports. The document was thereafter published by them on 30th. September, 2010, and thus approved for entry into the National Phase of a large number of member countries which include U.S.A. among others. The details of the application and complete documents can be accessed on the " WIPO Website "
Inventor: RAMESH Chander Manchanda; (IN).